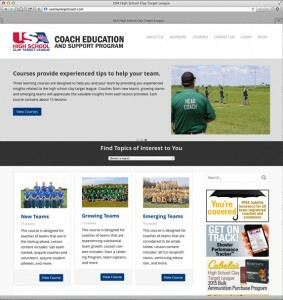 Visit the Coach Education and Support Program website! The Coach Education And Support Program provides a support platform for coaches to help student athletes, other coaches, and themselves. This program is consistent with the League’s mission, policies and procedures. Contact the Coach Advisory Council for assistance with your team. Choose courses that are relative to your team – New Teams, Growing Teams, and Emerging Teams. Track your lesson progress throughout the course. This website is available for League coaches. Private access to the course lessons can be found in the coach’s Team Management System.